The speakers are the last important link of the chain in any audio system. Whether it be an home audio system or a professional audio system, the speakers are the transducers which transform an electrical signal which, in this case, carries audio informations, in a physical measure which allows to listen the audio informations carried. 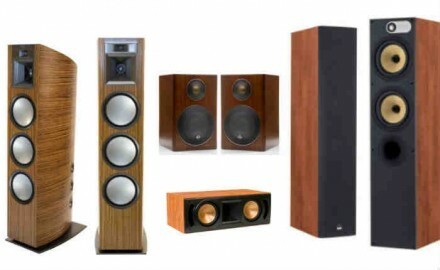 To preserve all the sound's main features, at least in the audible band from the human ear, it's necessary to choose acoustic speakers which have, built in, all the components, materials and spaces compliant to all the others audio devices connected. There are two different kind of speakers: for in wall or in ceiling installation, and floor or bookshelf ones. There are also many outdoor waterproof models. They can be placed in big public areas or in home gardens even for sound reinforcement in the swimming pools. DB Technology, JBL, Martin Audio, One System, QSC and RCF. B&W, Bose, Focal, JBL, KEF, Klipsch and Pioneer.